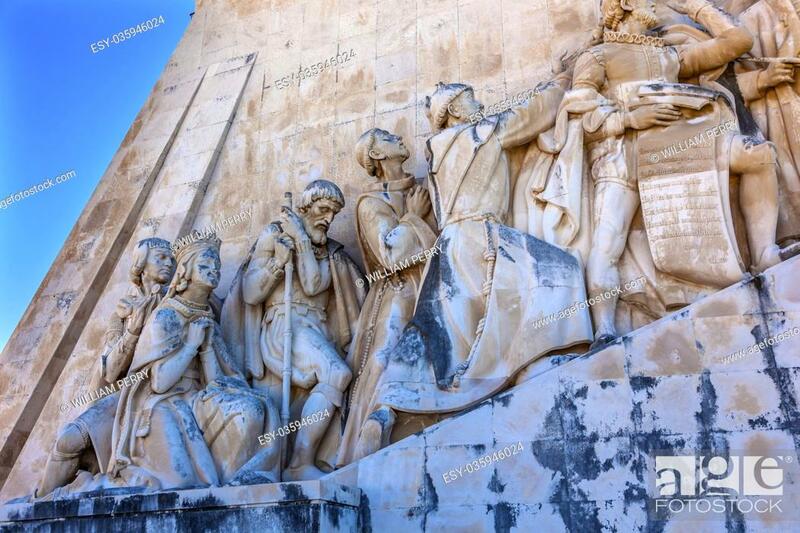 Foto de stock - Monument to Diiscoveries Explorers Padrao dos Descobrimentos Tagus River Belem Lisbon Portugal. The monument was conceived by Portuguese Continellis and Sculptor Almeida in 1939 ... . Based on the plans the Portuguese government constructed the monument in1960. . The statues are of various Portuguese explorers led by Henry the Navigator.